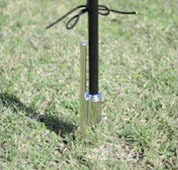 The 8ft. 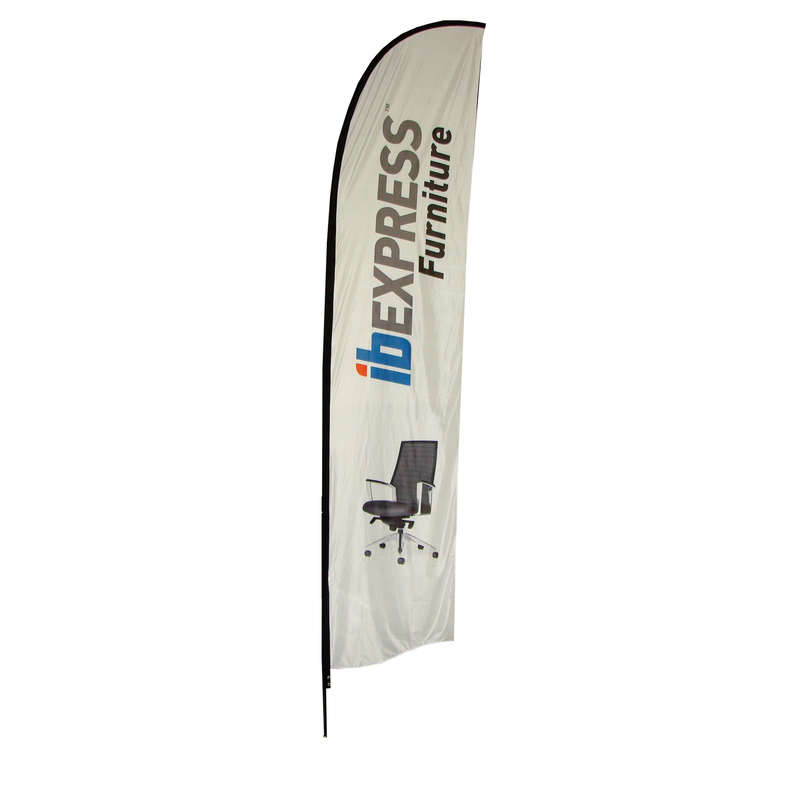 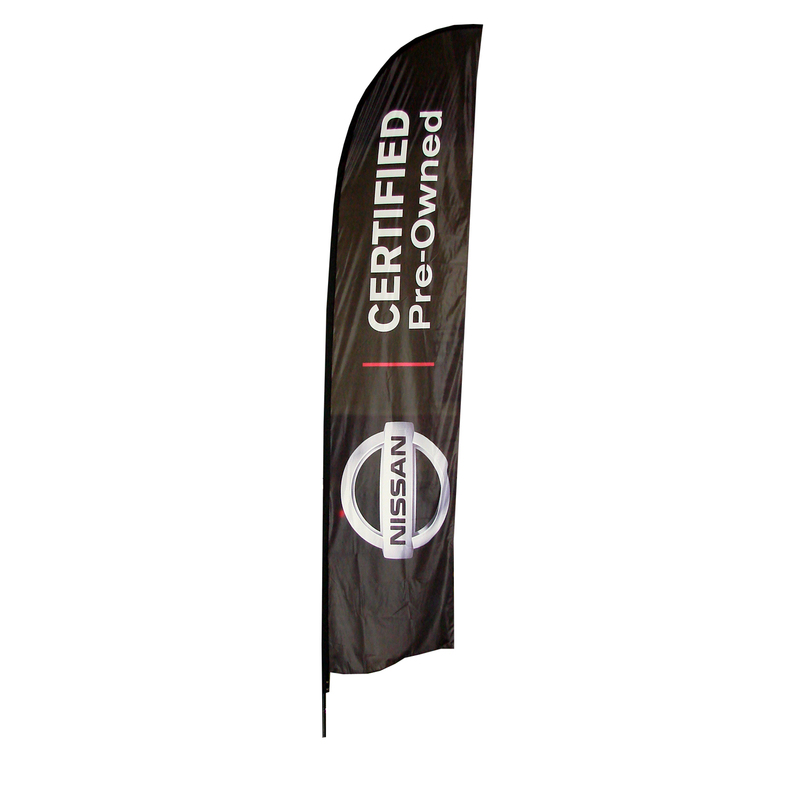 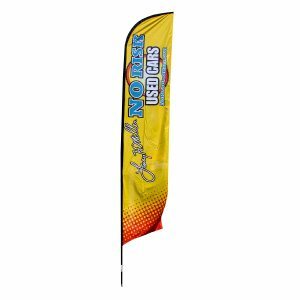 feather flags are one of our most versatile trade show items. 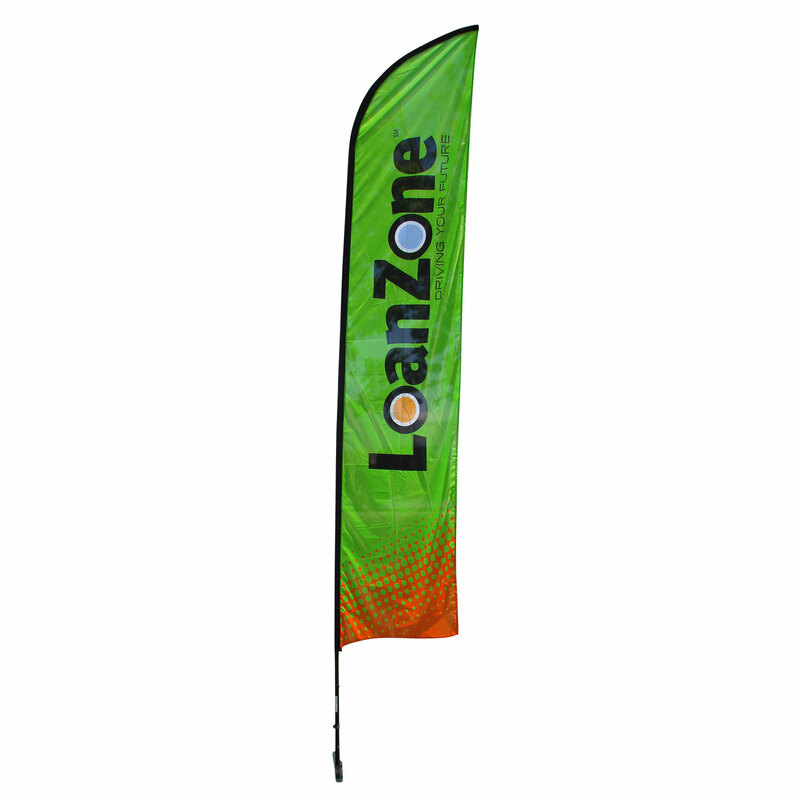 They can be used indoor or outdoor to create instant awareness of your business or service. 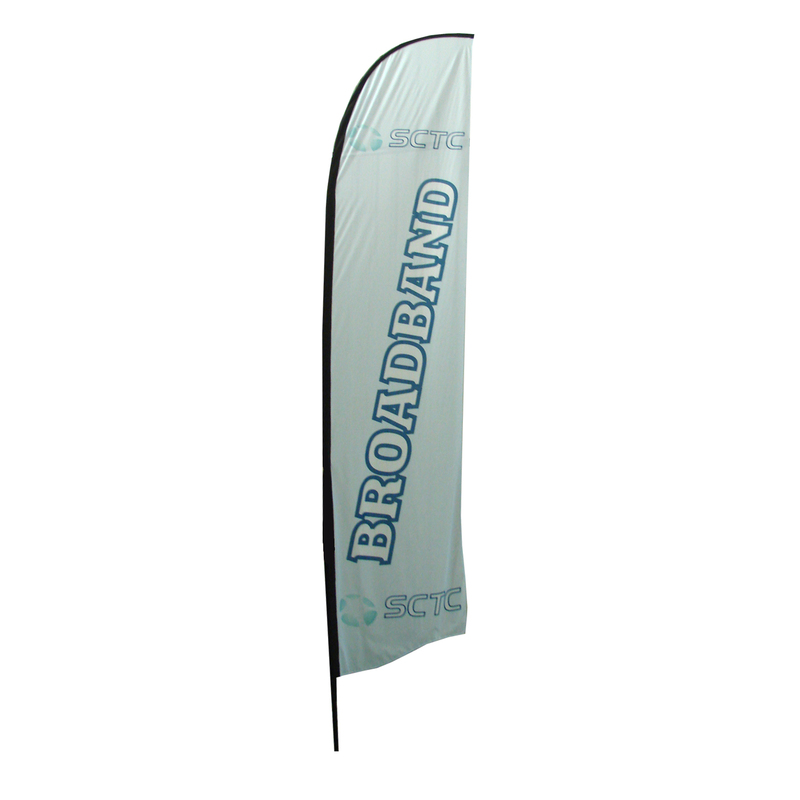 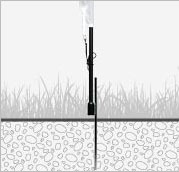 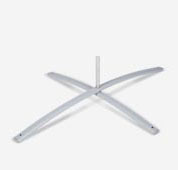 Additionally, they can be used for way finding or to mark areas at an event. 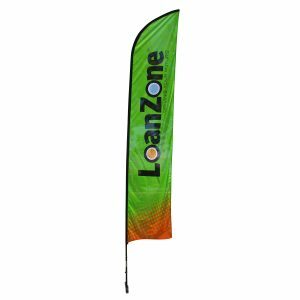 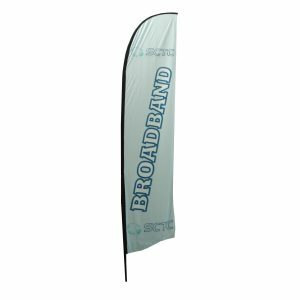 As one of our most economically priced products, it is feasible to buy 5-10 printed feather flags to be able to spread your message in a wider area. Put some flags at your retail location, include some in your outdoor trade show kit, and also include some in your indoor trade show booth without breaking the bank. 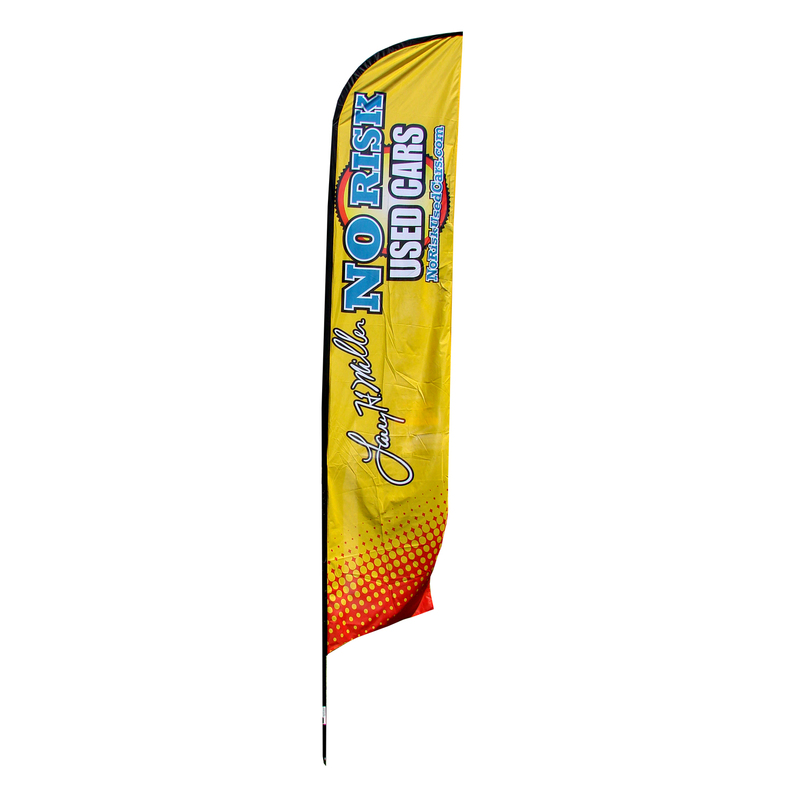 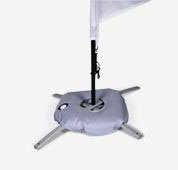 Our feather flag hardware is made from commercial grade aluminum and fiberglass.